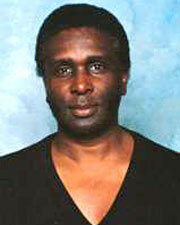 Willie Lenoir has jazz experience in the styles of Matt Mattox, Gus Giordano, Luigi, Bob Fosse and Fred Benjamin. He has studied Limón technique with Betty Jones, Jennifer Scanlon, Fred Matthews, and members of the José Limón Dance Company. Lenoir is a lecturer at the University of Kansas where he teaches jazz, musical theatre dance, African dance, Afro-Cuban jazz, big band jazz, and Limón-based modern dance. He is a regular master teacher at the American College Dance Festival Association's annual regional conferences. Lenoir also choreographs and designs and constructs costumes. From 2007 to 2011, Mr. Lenoir had the pleasure of being one of five adjudicators for the Kansas Junior Miss Program.